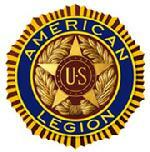 High school juniors who participate in and complete either an American Legion Boys State or American Legion Auxiliary Girls State Program and be a direct descendant, i.e. child, grandchild, great grandchild, etc. or a legally adopted child, of a U.S. wartime veteran who served on active duty during one or more of the periods of war officially designated as eligibility dates for membership in The American Legion by the United States government: WW I -- April 6, 1917 - November 11, 1918; WW II -- December 7, 1941 - December 31, 1946; Korean War -- June 25, 1950 - January 31, 1955; Vietnam War -- February 28, 1961 - May 7, 1975; Lebanon and Grenada -- August 24, 1982 - July 31, 1984; Panama -- December 20, 1989 - January 31, 1990 and Persian Gulf War -- August 2, 1990 to cessation of hostilities as determined by the United States government. Normally the application is submitted to program staff upon arrival at your respective Boys/Girls State program.